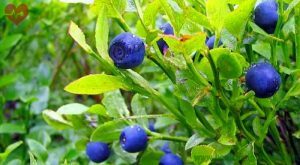 Aronia is a bush or tree tall over 2.5 meters, with a branched stem. The leaves are heart-shaped, sharp on top, white in color and in umbels at the tips of the branches. The fruit is a delicious berry with a dark stem. Aronia is cultivated, but is rarely present, and its homeland is Russia and Mongolia. This plant is very resistant to low temperatures and many diseases. It blooms in April and May. Aronia contains vitamin P, sugar, organic acids, carotene, iron, magnesium and other beneficial ingredients, vitamins and minerals. As medicine, the fruits and flowers are used, but other parts of the plant can be used as well. From the fruits you can make fruit juices, marmalades, compotes, etc., and also quality tea. Aronia can be used as a diuretic in diseases of the kidneys and liver, for lowering the blood pressure, anemia, to strengthen the body against severe diseases, fatigue, nerve weakness, stomach problems, to improve blood circulation in the veins and head, for migraine and headaches, to enhance the functioning of the thyroid gland, against excess sugar, inflammation and varicose veins, stomach ulcer and for better functioning of the pancreas. Artichoke is a biennial cruciferous plant, tall up to 1.5 meters. The lower leaves develop during the first year, and the stem during the second year. The leaves are long and sharp with spikes on top, serrated and coarsely toothed. The flowers are large with a diameter of up to 7 cm. and they are reddish-purple in complex umbels on top of the branches. Leaves and flowers are used as medicine. It has a bitter taste. The artichoke is used to stimulate the work of bile in cholecystopathies. Artichoke improves the metabolism of fats and the bilirubin in the liver. It has a diuretic effect and antibacterial effect. Artichoke is recommended for heart diseases, stroke, high blood pressure, to purify the liver. Artichoke is best used fresh.